Quail Creek real estate is conveniently located just a short drive from the sandy white Gulf of Mexico beaches, five-star luxury hotels, superior hospitals, medical facilities, schools, upscale shopping and gourmet dining at The Village on Venetian Bay, The Waterside Shops, the renowned Fifth Avenue South and Third Street South in downtown Naples, the trend setting night life and dining at Mercato, The Naples Philharmonic at Artis-Naples and The Baker Museum, The Naples Zoo and The Naples Botanical Gardens… Quail Creek real estate offers a Florida lifestyle of idyllic ambiance with golf and more. Set comfortably within more than 640 acres of lush tropical landscaping, crystal-blue fresh water lakes, and natural protected preserves with flowering marshes, the community of Quail Creek offers a graceful, relaxed and carefree lifestyle with many paths for walking, jogging and bicycling. In fact, the beautiful community of Quail Creek is an Audubon sanctuary…a home for many varieties of birds including the Broad-Winged Hawk, the Osprey, the Bald Eagle, Blue Birds and several water birds including the Snowy Egret, the Great Blue Heron and the Anhinga. Additionally, the Quail Creek community is populated by Otter, Red Fox, Woodpeckers, and Red Squirrels. Yet, the main attraction of this great neighborhood is the award winning full service, member-owned Quail Creek Country Club. 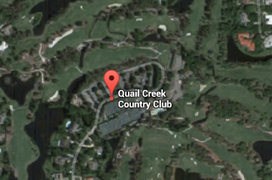 Quail Creek was one of the first country clubs in Naples and was established in 1981. Located in the Quail Creek Estates neighborhood with two spectacular 18-hole par-72 golf courses, The Quail Course and The Creek Course…this traditional club features two very different courses; each embracing a unique personality and flavor of its very own. The well-maintained golf courses and splendid clubhouse are surrounded by 291 beautiful estate sized homes, giving the neighborhood a feeling of expansiveness and spaciousness. Additionally, both courses have a limited amount of members…only 280 members per course, thereby enabling a lower course density with greater ease for members to access tee times. Both The Quail Course and The Creek Course are truly spectacular as reflected by the rolling lush fairways, fresh water lakes and ponds, flowering marshes, towering oaks, soaring palms, pristine pines, well-maintained greens, waterfalls and one-of-a-kind rock formations, amazing Florida wildlife and the natural preserves. 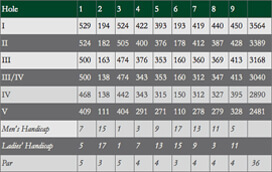 Let us explore and focus upon each of these championship golf courses in greater detail. 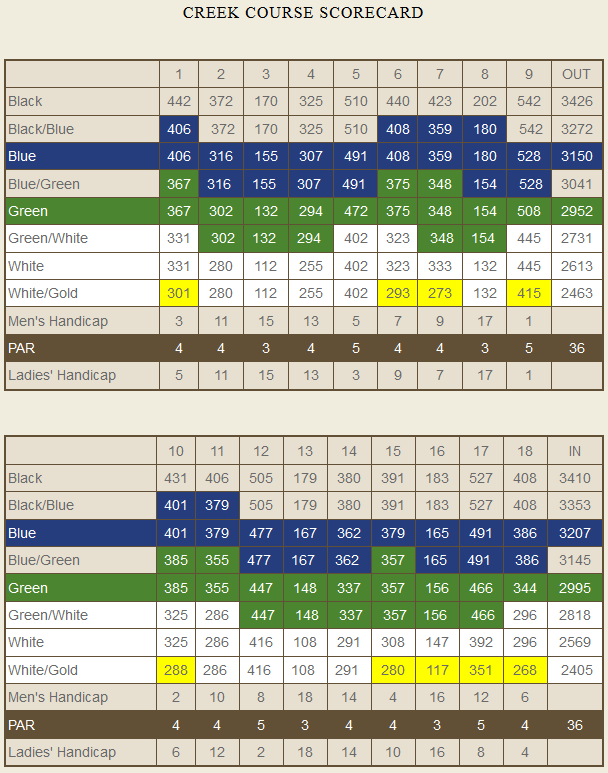 The Creek Course is an exciting 18-hole regulation course located at Quail Creek Naples Florida. From the longest tees it showcases 6,830 yards of spectacular golf for a par of 72. This wonderful course was also designed by Arthur Hills, ASGCA and opened in 1981. 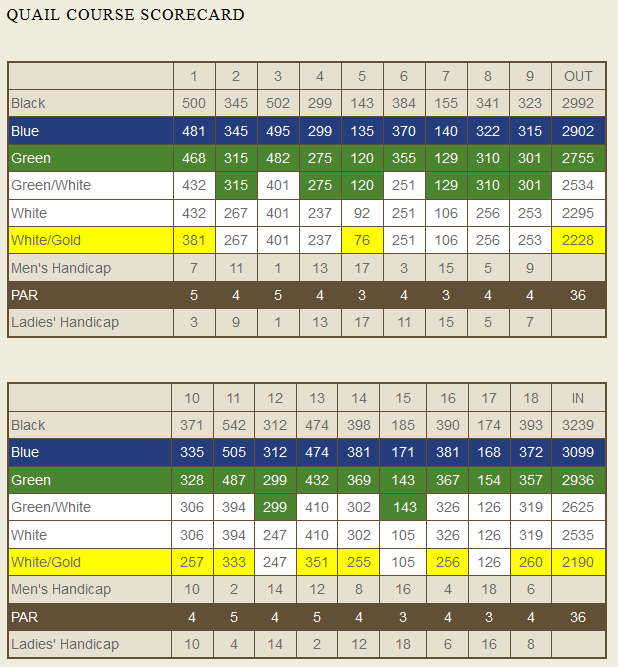 Additionally, the course rating is 73.3 with a slope rating of 136. The Creek Course at Quail Creek Country Club is also a private equity facility golf course with an Accompanied by Member guest policy. The main club house spans 44,000 square feet and offers exceptional benefits and amenities. One of the key benefits of becoming a member of The Quail Creek golf course is that you do not have the requirement of being a resident. The magnificent clubhouse serves as a resident gathering place and offers the amenities and accoutrements of a Neapolitan lifestyle… from casual dining in The Greenside Grille to gourmet fine dining in The Cypress Room. Quail Creek Naples Florida offers something for everyone…Championship golf with a staff of PGA professionals, a contemporary fitness center, a full service spa with a wellness center, a Tennis Center with thirteen lighted Har-Tru courts and a USTA certified professional staff, casual to gourmet dining and an array of upscale social activities and private events that will keep you busy 24/7. At Quail Creek Country Club, a professionally trained PGA staff is here to serve you and all of your golfing needs with private and group golf lessons, a full service pro shop, golf clinics, demos and so much more. 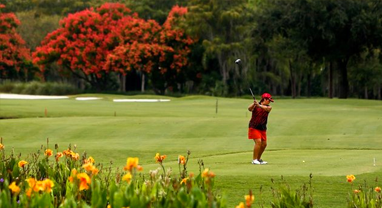 Regardless of your level of play, the Quail Creek golf course will continue to call your name again and again…beckoning you to the challenge of playing on two of the finest golf courses not only in Southwest Florida, but throughout the country. 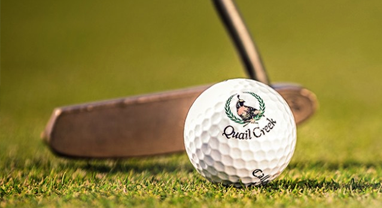 Quail Creek Country Club is proud of its diverse and friendly membership; and strives to provide various options to suit every individual’s needs. There is something for everyone at Quail Creek… gourmet and casual dining with an award winning Executive Chef, tennis, award winning championship golf, an array of social activities and unique private events. For discrete and professional service, please call me to schedule a private viewing of any one of these Quail Creek real estate listings. If you would like for me to do all of the research for you, please call me with your search criteria and I will email you all of the listings that you should be considering, and that specifically match your lifestyle requirements. 239-963-6590. I have been selling Marco Island and Naples Real Estate since 1978. I make it easy and enjoyable, while presenting you with all of the FACTS necessary to make an informed decision. There is a lot which one needs to take into consideration when buying Quail Creek homes for sale to insure that you are not only buying the lifestyle that you are searching for; but, that the property does not have any ISSUES and that you are getting a good VALUE. Please take the time to read the “About Us” in the top navigation bar to see my 35 year background in Custom Home Building, Development and Real Estate in Naples, Marco Island and Palm Beach, Florida.